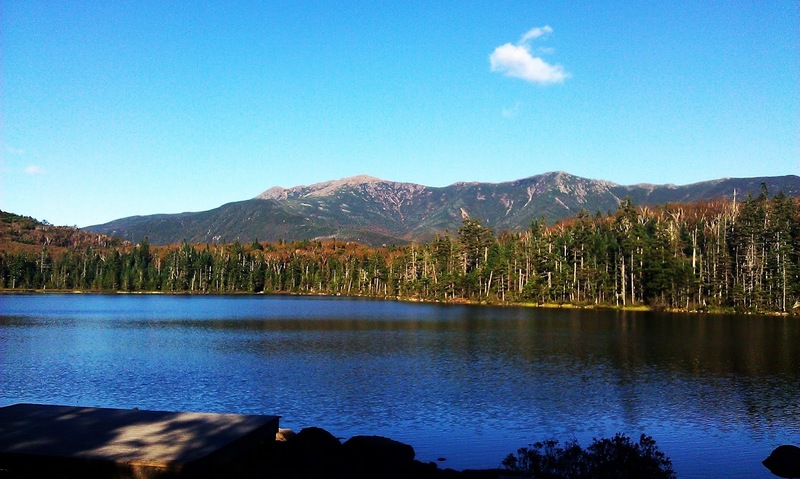 AMC Conditions: Great Day hikes near Lonesome Lake Hut! Great Day hikes near Lonesome Lake Hut! 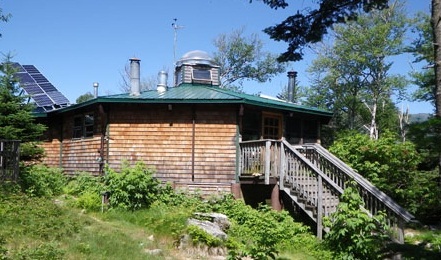 Lonesome Lake Hut, elevation 2,760 feet, in Franconia Notch makes for a great basecamp to hike the nearby 4,000 foot peaks, and access for easy day and nature hikes. 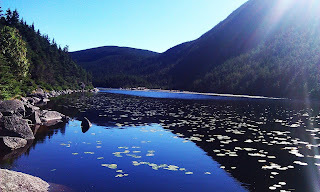 The trail to Lonesome Lake is an easy 1.6 mile hike starting at Lafayette parking area ascending 950 feet which makes this a great destination for families. This is the westernmost hut on the Appalachian Trail (AT). Views east of the hut as seen in this picture above looks toward the Franconia Range. 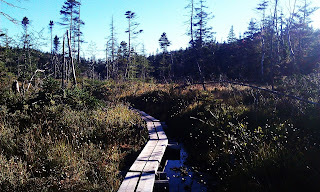 The great networks of trails from Lonesome Lake have numerous bog bridges that surround the lake, in the winter you can actually walk across the lake when conditions are safe. Lonesome Lake Hut is one of three huts open year round (Carter Notch Hut and Zealand Hut are the other two). There are great opportunities for nearby snowshoeing as well as backcountry and frontcountry skiing at nearby Cannon Mountain, one of the nearby 4,000 foot peaks! "The Lonesome Lake habitat is the most biologically rich and diverse ecosystem at the doorstep of any of the high huts. From moss to moose, bog to balsams, snowshoe hares to sundews, opportunities abound for observing a unique and interesting display of flora and fauna". 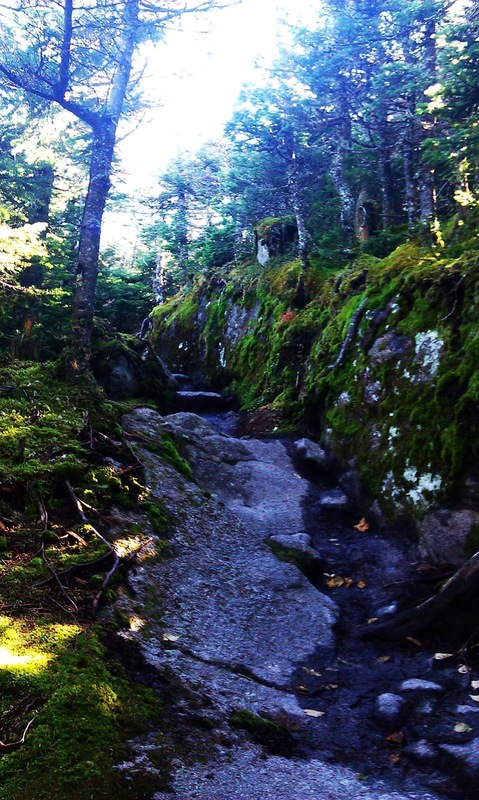 The hike to Cannon Mountain is a 2.3 mile hike from the hut. The Lonesome Lake Trail towards the Kinsman Ridge Trail is relatively easy with an elevation gain of about 900 feet. After the intersection onto the Kinsman Ridge Trail is fairly steep with areas of large boulders and some difficult scrambles for 0.5 miles. You then come to the intersection of the Hi-Cannon Trail with an easy 0.5 mile hike to the summit. 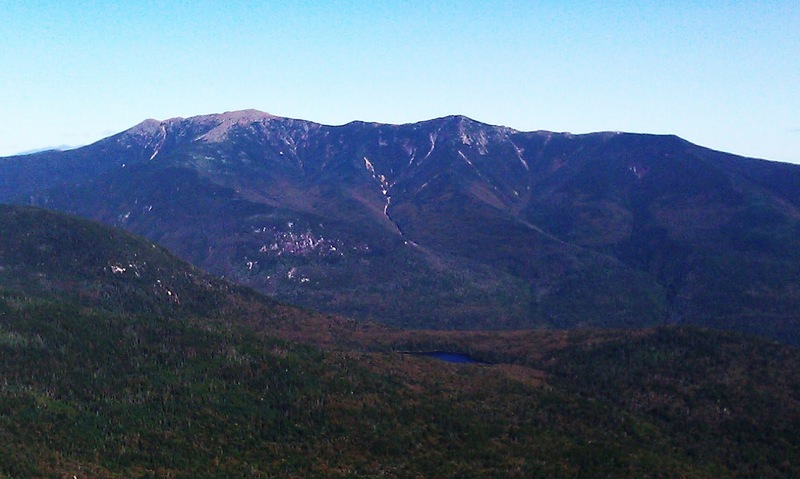 The views from the observation tower look 360 degrees, the picture to the left is looking towards the east to the Franconia Ridge. 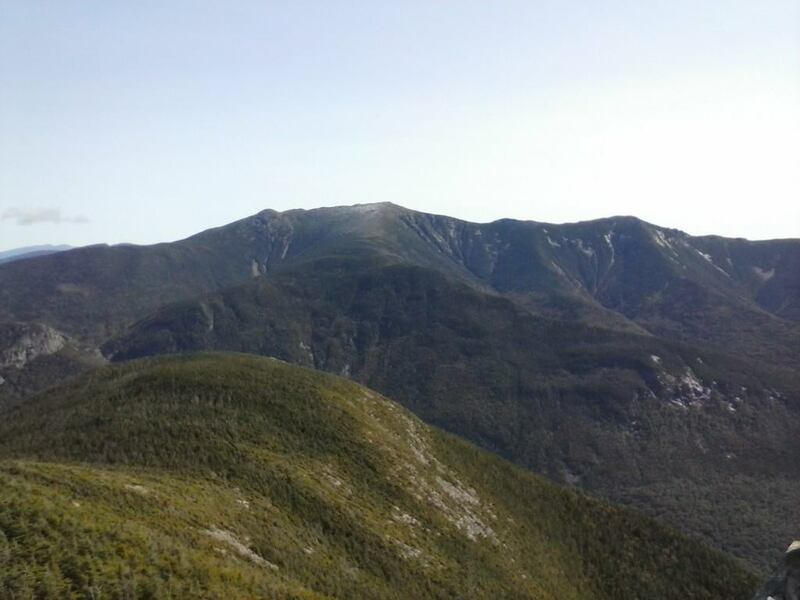 If you get an early start, and don't mind a long day of hiking, you can then turn back onto the Kinsman Ridge Trail and hike the 3.9 miles to North Kinsman. The trail is rugged with many ups and downs due to the Cannon Balls which are the three humps seen on the Kinsman Ridge. 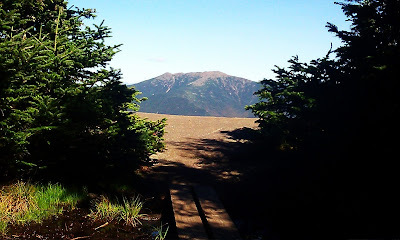 At the summit of North Kinsman there is a great outlook on the left side of the trail that looks towards the Franconia Range, also looking back down on Lonesome Lake. This is a great ledge making a fantastic spot for an afternoon picnic! Continuing south on the Kinsman Ridge Trail 0.9 miles is the summit of South Kinsman, is a relatively easy hike; definitely worth the extra 1.8 miles total if you are working to finish the 4,000 foot peaks! Continuing back to Lonesome Lake Hut I chose to take the Fishin' Jimmy Trail. The trail intersection is 0.1 miles from the Kinsman Pond Trail and Shelter; this Pond also can make for a great destination for a day hike; a 4.1 mile round trip. 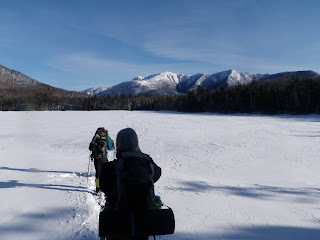 If you are thinking of making Lonesome Lake a base-camp for hiking Cannon and the Kinsmans the roundtrip total is 10.5 miles if you do the loop in a day as I had decided to do. Keep in mind that the Fishin' Jimmy Trail gains about 1,200 feet, so you may want to do this loop in reverse, making Fishin' Jimmy the start of the loop, as the Lonesome Lake Trail is much more gradual descending. Although a long day hike, it is a great accomplishment with warm freshly baked bread and a hearty meal waiting for you when you return to the hut! For any general questions, conditions information, or trail advice, please feel free to contact us here at the Pinkham Notch Visitor Center front desk. We are available by phone at (603) 466-2721 every day from 6:30 AM to 10:00 PM or by email at amcpinkhaminfo@outdoors.org. To make reservations at AMC Lodges and Huts, please call (603)466-2727 available Monday through Saturday 9am-5pm.